Ernest Hemingway loved Daiquiris and there are two versions associated specifically with him, The Papa Doble and the Hemingway Special. The two drinks are very similar, varying only in the ratios and in the mixing of the drink. 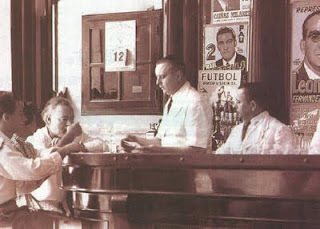 Though Jennings Cox is deemed the creator of the Daiquiri, Havana bartender Constante Ribailagua, aka The Cocktail King, is credited for having both perfected the original daiquiri and creating the original frozen Daiquiri at the famed El Floridita bar (The Temple of the Daiquiri) in pre-Castro Cuba. 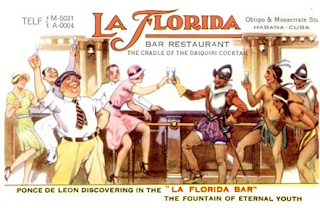 While Hemingway was in Havana to write he frequented the El Floridita and was introduced to Ribailagua's Daiquiri. Hemingway loved it but, being a diabetic, requested his Daiquiris without sugar, so Ribailagua obliged him with one featuring Maraschino liqueur for the sugar substitute and the Hemingway Special was born. Hemingway liked doubles so dubbed his the Papa Doble. 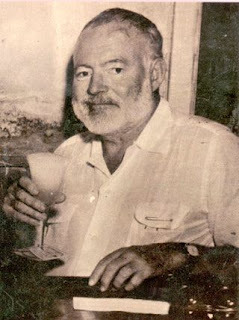 It's said that Hemingway would often drink a great number of Daiquiris in one sitting, reports listing from 12 to 16 in one session. Though Hemingway was admittedly a heavy drinker, because he suffered with diabetes I would question these claims. Even though the processed sugar had been removed in his Hemingway Specials, alcohol itself converts to sugar in the bloodstream, not to mention the converted sugars from the grapefruit juice. Not only that, take a gander at the rum measurement, a whopping 3 and 1/2 ounces! Multiply that by just ten and you have and 35 ounces of rum. That's nearly 4 and 1/2 cups of rum, and that's 2 to 6 drinks below what the stories profess he drank! This large a number of drinks would surely have put anyone with diabetes in or near a diabetic coma. Hemingway also had liver problems and high blood pressure, both of which are also exasperated by alcohol intake. But it makes for a nice story. 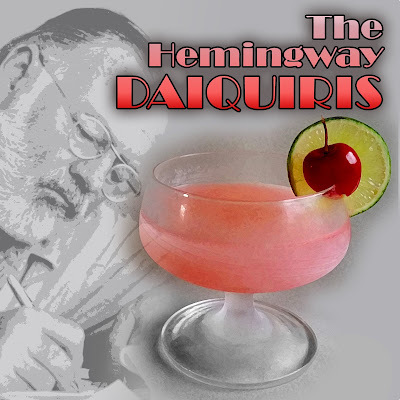 Whatever the myths that surround Hemingway and the Daiquiri, it is truth that he loved them, often including references to them in his writings. 6 Drops Maraschino Liqueur Blend well with chipped ice in a cocktail shaker and serve in a large chilled goblet.